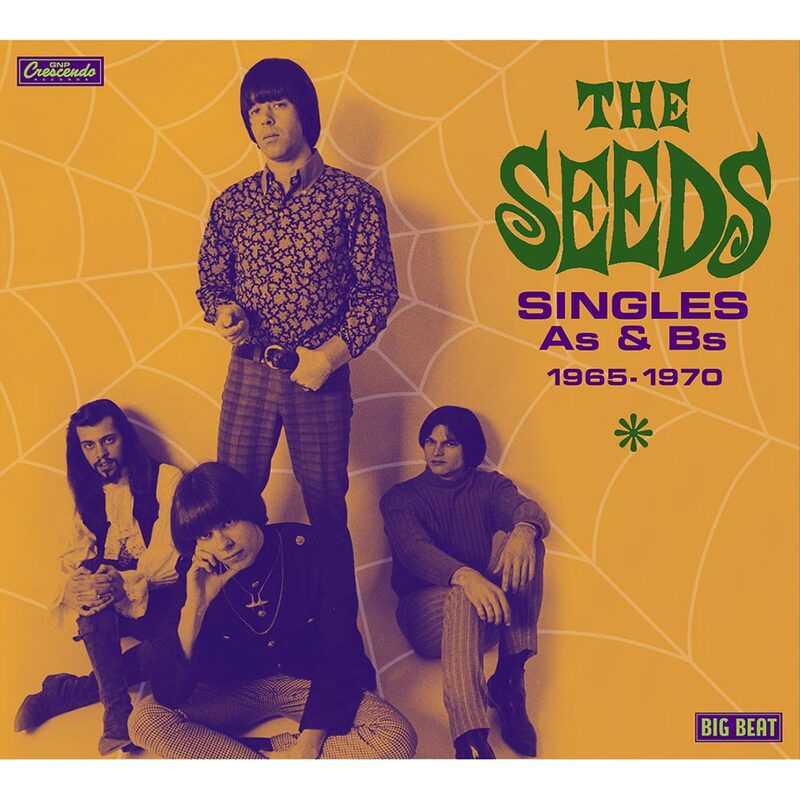 THE SEEDS-SINGLES As and Bs 1965-1970. 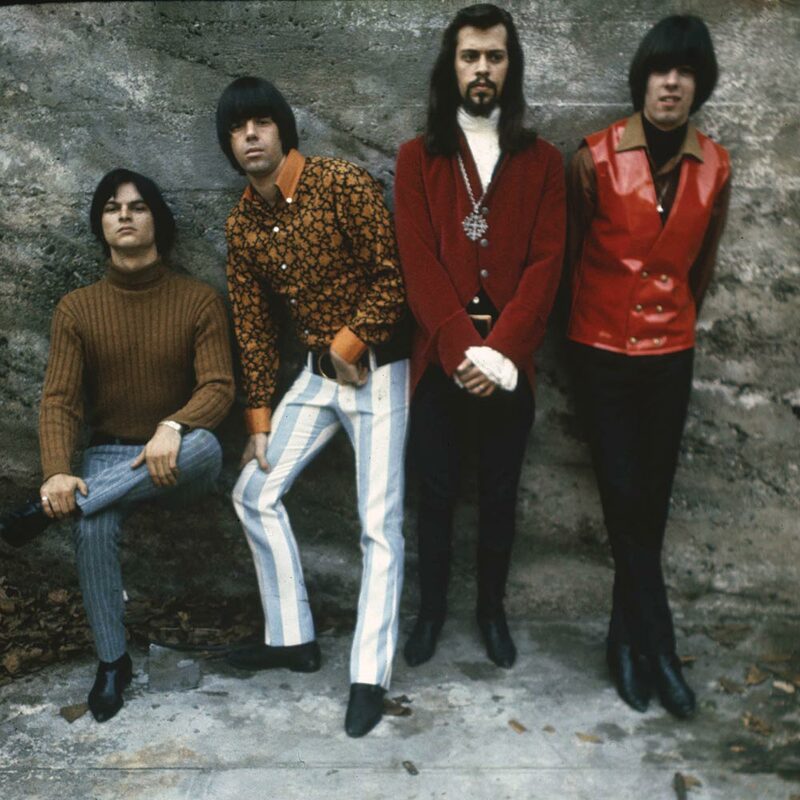 Formed in 1965, The Seeds spent the next five years combining garage rock, psychedelia, acid rock and proto punk. During that period, The Seeds were one of the most exciting and groundbreaking groups. That’s apparent on the three albums The Seeds released. Their debut was 1966s The Seeds. It was released in March 1965 and featured the singles Can’t Seem to Make You Mine and Pushpin Too Hard. This marked the debut of Sly Saxon, Daryl Hooper, Jon Savage and Rick Andridge. Released to critical acclaim, The Seeds reached number 132 in the US Billboard 200 charts. The Seeds hinted at what the Los Angeles’ based quartet were capable of. A year later, The Seeds returned with A Web Of Sound. Produced by Marcus Tybalt and released in October 1967, A Web Of Sound was well received by critics. Among the album’s highlights were the singles Mr. Farmer and the fourteen minute epic Up In Her Room. It closed A Web Of Sound. Despite the quality of of A Web Of Sound, it failed to chart. However, when The Seeds returned with their third album, it would be their swan-song and a classic. The Seeds final album was 1968s Future. It featured the single A Thousand Shadows, which reached number seventy-two in the US Billboard 100. Future the reached eighty-seven in the US Billboard 200. While Future hadn’t been a huge commercial success, it proved to be a minor classic. It’s best described as a mind-blowing, genre-sprawling, slice of sunshine-psychedelia. Quite simply, it’s a musical tour de force of trippiness. Sadly, however, Future would prove to be The Seeds swan-song. They never released any further albums. However, they released several singles after the release of Future. These singles feature on Singles As and Bs 1965-1970, which was recently released on Big Beat Records, an imprint of Ace Records. Singles As and Bs 1965-1970 features twenty-four tracks. They’re essentially a history of The Seeds’ singles. This starts with 1965s Can’t Seem To Make You Mine and finishes with 1970s Love In A Summer Basket. There’s also Excuse Excuse from a 1965 E.P. released on Disques Vogue in 1965. Closing Singles As and Bs 1965-1970 is an unedited version of Pushin’ Too Hard, which is a synonymous with The Seeds. However, there’s more to The Seeds than one single. You’ll realise that when I tell you about Singles As and Bs 1965-1970. Opening Singles As and Bs 1965-1970 is the single Can’t Seem To Make You Mine. The B-Side was Daisy Mae. On its released as a single in July 1965, Can’t Seem To Make You Mine failed to chart. A year later, The Seeds released their eponymous debut album. Can’t Seem To Make You featured on The Seeds. 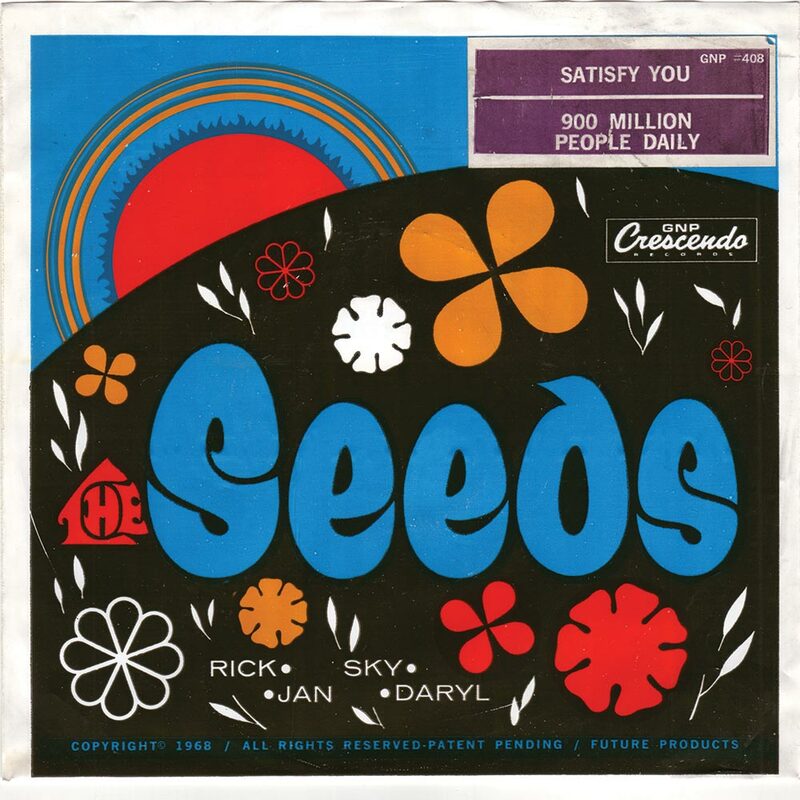 Released in April 1966, The Seeds reached number 132 in the US Billboard 200. A year later, Can’t Seem To Make You Mine was rereleased in April 1967 with I Tell Myself as the B-Side. The rereleased version of Can’t Seem To Make You Mine reached number forty-one in the US Billboard 100. Can’t Seem To Make You Mine wasn’t the only single released from The Seeds. Pushin’ Too Hard was The Seeds sophomore single. On the B-Side was Out of the Question. It was released in November 1965. There are similarities with Just like Can’t Seem To Make You Mine. Not only did Pushin’ Too Hard fail to chart, but it was rereleased. Before that Try To Understand was released as a single. Try To Understand was the third album to be released from The Seeds eponymous debut single. Released in February 1966, The Other Place was chosen as the B-Side. Just like The Seeds’ previous single, Try To Understand failed to chart. A hit single wasn’t far away though. When it was rereleased, in July 1966, Pushin’ Too Hard reached number thirty-six in the US Billboard 100. This would be the most successful single in The Seeds’ career. Little did they know that they’d never better what was a Seeds’ classic. 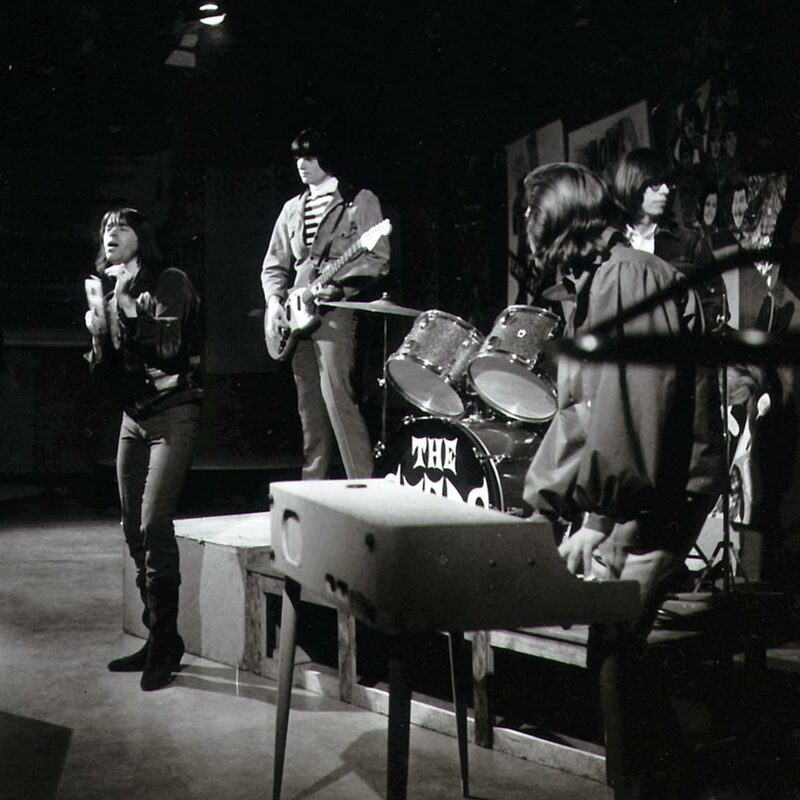 In 1966, The Seeds released their sophomore album A Web of Sound. Produced by Marcus Tybalt, A Web of Sound was released in October 1966. Although well received by critics, A Web of Sound failed to chart. One of A Web of Sound’s highlights was the single Mr. Farmer. Mr. Farmer was the lead single from A Web of Sound. Tucked away on the B-Side first released of Mr. Farmer was the dramatic, choppy No Escape. It’s a real hidden gem from The Seeds’ back-catalogue. Coupled with Mr. Farmer, which showcases The Seeds’ garage sound, it’s surprising that this single failed to chart upon its release in December 1966. A month later, Mr. Farmer was rereleased. As a new year dawned, Mr. Farmer was rereleased in January 1967. It featured a new B-side, Up In Her Room. This was an edited version of the fourteen minute epic that took up half of the second side of A Web of Sound. Mr. Farmer gave The Seeds a minor hit. However, Mr. Farmer stalled at just number eighty-six in the US Billboard 100. Later, in 1967, the Mr. Farmer E.P. was released. The Mr. Farmer E.P. featured four tracks. On the A-Side was Mr. Farmer and a three minute edit of Up In Her Room. Then on the B-Side of the Mr. Farmer E.P was The Seeds classic Pushin’ Too Hard and Try To Understand. However, the Mr. Farmer E.P. failed to chart. Things didn’t get any better for The Seeds. Their next single was meant to be A Thousand Shadows. The B-Side was A Faded Picture. It was due for release in early 1967. However, it was cancelled at the last minute. Apart from a rerelease of Pushin’ Too Hard, nothing was heard of The Seeds until June 1967. It was in June 1967, that A Thousand Shadows was released as a single. March Of The Flower Children was the B-Side. The single reached number seventy-two in the US Billboard 100. Both tracks featured on The Seeds’ third album Future. Future was released in 1967 and reached eighty-seven in the US Billboard 200. While Future wasn’t a huge commercial success, it’s since been regarded as a minor classic. It’s best described as a mind-blowing, genre-sprawling, slice of sunshine-psychedelia. This classic album spawned another single, The Wind Blows Your Hair. It epitomises The Seeds’ sunshine psychedelia. On the flip side of The Wind Blows Your Hair is Six Dreams, which oozes drama and theatre. It’s a reminder of The Seeds at the peak of their powers. After Future, The Seeds’ popularity slumped. They were a victim of changing musical fashions. By mid-1968, The Seeds’ personnel began to change. The first change was the name. The Seeds became Sky Saxon and the Seeds. In August 1968, Satisfy You was released as a single. 900 Million People Daily (All Making Love) was chosen as the B-Side. A fusion of psychedelia and rock, The Seeds seemed to be heading in the direction of The Doors on Satisfy You. While it failed to chart, it’s a storming reminder that for The Seeds, they had a future after Future. Falling Off The Edge Of My Mind was the final single The Seeds released for GNP Crescendo. 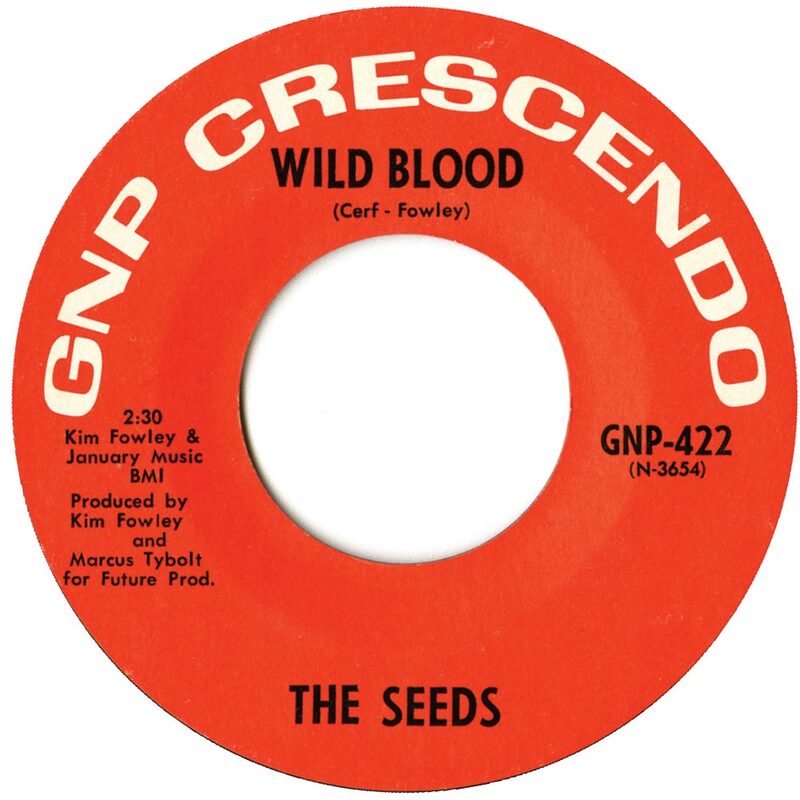 Wild Blood was chosen as the B-Side for The Seeds GNP Crescendo swan-song. Released in January 1969, Falling Off The Edge Of My Mind failed to chart. A fusion of country, psychedelia and rock it saw The Seeds looking for a new direction. Ironically, the B-Side Wild Blood was a better track. Rocky, with a nod to The Rolling Stones, Sly struts his way through the track, as they bid their farewell to GNP Crescendo. In 1969, The Seeds’ lineup changed. Guitarist Bob Norsoph and Don drummer Boomer replaced Jan Savage and Rick Andridge. Despite this change in lineup, Sky Saxon continued to use the name The Seeds. They didn’t release another single until August 1970. By then, the best way to describe The Seeds’ lineup is fluid. Various backing musicians came onboard. It was more a band entity than band. 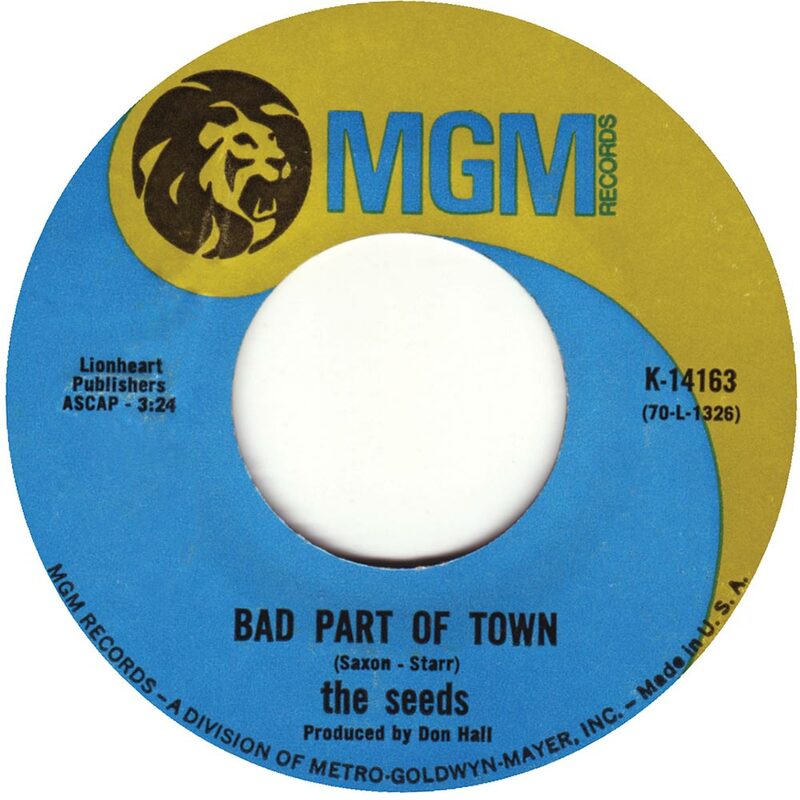 Bad Part Of Town was released as a single in August 1970, on MGM. It was rocky track with a psychedelic twist. However, it failed to chart. The Seeds were out of luck. Hidden away on the B-Side of Bad Part Of Town, was the melancholy, lysergic and dreamy Wish Me Up. It’s another hidden gem from The Seeds’ back-catalogue. Four months after the release of Bad Part Of Town, The Seeds released their final single. Love In A Summer Basket was released in December 1970. This was The Seeds’ second single for MGM. Slow, moody, pensive, dramatic and trippy it’s the sunshine psychedelia that The Seeds specialised in a few years earlier. While Love In A Summer Basket failed to chart, their recording career ended on a high. On the flip side of Love In A Summer Basket, was Did He Die. A driving slice of rocky, psychedelia, it showed that The Seeds still had something to offer music. There was only one problem, music was changing. This meant The Seeds had to change. For the next two years, The Seeds continued. Sky Saxon kept The Seeds alive. However, The Seeds best days were between 1965 and 1967. During that period, they released a trio of genre-defying albums. They showcased one of the most exciting and adventurous bands of the late sixties. The Seeds were, without doubt, musical pioneers. Their three albums are proof of this. From 1966s The Seeds through 1967s A Web Of Sound and their 1968 swan-song Future, The Seeds weave their magic. They combine a disparate combination of musical genres and influences. Everything from rock, garage rock, psychedelia, folk, jazz, doo-wop, free jazz, proto-punk and even prog rock. With every listen to The Seeds trio of albums, further surprises and subtleties reveal their hidden secrets. Rather than seamlessly flowing from one genre-specific track to another, The Seeds become a musical chameleon. Every track is like a surprise, with hidden depths awaiting the listener. However, The Seeds finest moment was their final album, Future. The only way to describe Future is a genre-sprawling album. Magpie-like, The Seeds seem to collect musical genres and influences, put them into their lysergic melting pot and sprinkle some secret ingredients. What comes out of The Seeds melting pot was Future. Under appreciated upon its release, that’s no longer the case. Now Future is perceived as a mind-blowing, boundary breaking and genre-defying album, where The Seeds tore up the rule book and rewrote it. Future is essential listening for anyone interested in The Seeds’ music. So is Singles As and Bs 1965-1970, which was recently released on Big Beat, an imprint of Ace Records. Featuring twenty-four tracks, Singles As and Bs 1965-1970, is the perfect introduction to The Seeds. It features Psychedelic classics and hidden gems. They sit side-by-side. Many of the hidden gems are hidden away on B-Sides. Many of the tracks on Singles As and Bs 1965-1970 also features tracks from The Seeds’ trio of albums, The Seeds, A Web Of Sound and their classic album Future. For the newcomer to The Seeds, then Singles As and Bs 1965-1970, is the perfect opportunity to dip your toe into the genre-defying music of The Seeds.